Reservation "bad boy" Thomas Begay is found dead drunk under the La Plata Bridge, which is not unusual for him. What is unusual, however, is that beautiful BIA investigator Patsy Greyhorse is found lying beside him, not drunk or even a Navajo but very dead nonetheless. Charlie Yazzie, fresh from law school, risks his career and even his life to help his old friend. The answer seems to lie with the Yeenaaldiooshii...should one choose to believe in such things. 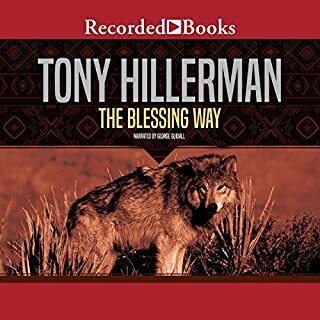 An old hermit has been killed in Utah's wildlands, and Sheriff Bud Shumway knows it's murder, even though some say it was a cougar kill. Others think it was done by a Bigfoot who has roamed the area for years, killing cattle and leaving people so traumatized that they never want to go into the wilderness again. But Sheriff Shumway can't afford to believe in Bigfoot, given the huge area he's responsible for, most of it wildlands. Until the telephone call came for him on April 12, 1975, the world of Moon Mathias had settled into a predictable routine. He knew who he was. He was the disappointing son of Victoria Mathias, the brother of the brilliant, recently dead Ricky Mathias and a man who could be counted on to solve small problems. But the telephone caller was an airport security officer, and the news he delivered handed Moon a problem as large as Southeast Asia. His mother, who should be in her Florida apartment, is fighting for her life in a Los Angeles hospital - stricken while en route to the Philippines to bring home a grandchild they hadn't known existed. 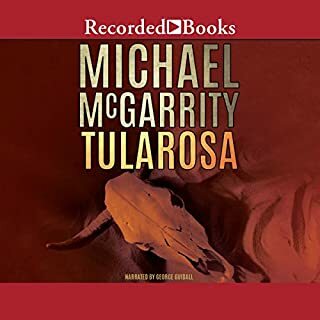 On the windswept plains of Wyoming's Wind River Reservation, Father John O'Malley and Arapaho lawyer Vicky Holden investigate the murder of the Arapaho tribal chairman. Ace reporter John Cotton is a fly on the wall, seeing all, hearing all, and keeping out of sight. But the game changes when he finds his best friend's corpse sprawled on the marble floor of the central rotunda of the U.S. Capitol. Suddenly Cotton knows too much about a scandal centered around a senatorial candidate, a million-dollar scam, and a murder. And he hears the pursuing footsteps of powerful people who have something to hide... and a willingness to kill to keep their secrets hidden. Someone has left three dead Shoshones on an historic battlefield, positioned to mimic the bodies of those Arapahos killed in the slaughter. 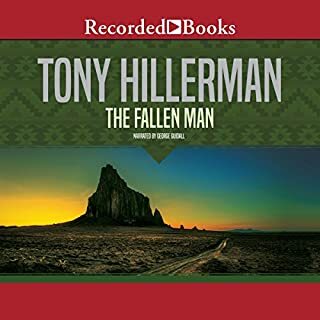 Frankie Montana, attorney Vicky Holden's latest client, is a frequent guest of the reservation's holding cells, and after a recent heated encounter with the three dead men, is the number one suspect in their deaths. But despite his faults, Vicky doesn't believe he is capable of murder. The Wind River Reservation agrees to a nuclear-waste storage site in exchange for jobs and millions in revenue. But murder points Vicky Holden and Father John toward a larger plot. Travis Birdsong sits in prison for killing his partner in the crime of stealing petroglyphs from the Red Cliff canyon. Attorney Vicki Holden is convinced that Travis must be innocent because another petroglyph has been stolen out of the canyon. She is even more convinced after the thieves contact the mission priest in order to get the tribes to buy the artifact back. As Father John tries to get the petroglyph back and Vicki tries to prove Travis is innocent, the two situations collide. 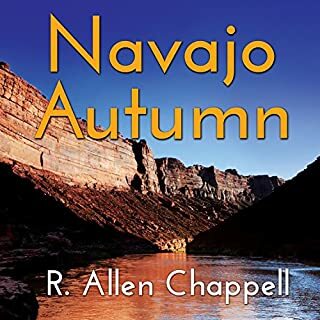 R. Allen Chappell takes a bold new direction with this thriller, raising storytelling and knowledge of the Navajo culture to an entirely new level. When Mexico's bloodiest predator invades the reservation, it's up to Charlie Yazzie and his friends to take charge the Navajo way. Navajo can track prey, but can Charlie, Thomas, and Harley Ponyboy catch the killer before he catches them? 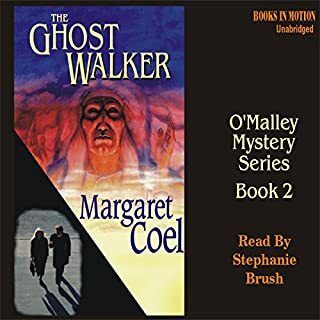 I am enjoying this series about the Navajo Nation Mystery. I appreciate Chappell’s skill as a story teller. This story is a bit different from the prior stories in the series. The story is primarily about Charlie Yazzie, Thomas Begay and Harley Ponyboy. These three have been friends since children. Chappell discusses the difficulties Begay and Ponyboy have in maintaining sobriety, and uses this to review the alcohol problem among the Navajo. In this story we get to see the magnificent skill of Harley Ponyboy as a tracker. First Thomas and Harley find a dead white man, and then the three come across a dead Navajo girl. Instead of leaving the hunt for the killer to the FBI, the three set out to find him. The story goes back and forth between the killer “Mojado” and the three friends. 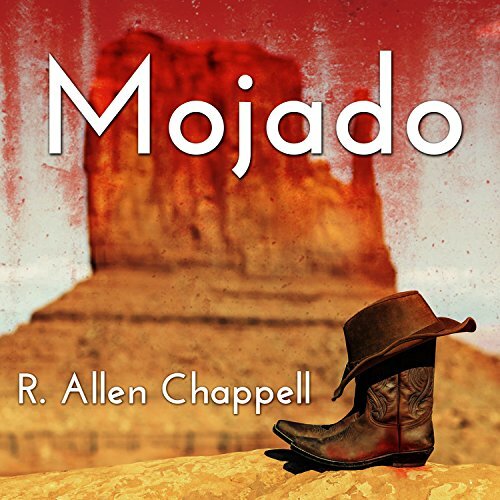 Chappell paints a trek through the Navajo back country with all its wild loneliness and danger. The book is well written and fast paced. The plot twists and turns more so than Chappell’s other stories. I learned that Mojado is Spanish for wet and often refers to the “wet backs”: Mexicans sneaking across the U.S./Mexico border. 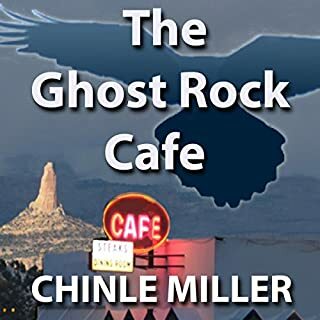 Chappell provides a constant sub dialog about Navajo beliefs in ghost, spirits and magic. The ending was a nice unexpected twist. Kaipo Schwab does a good job narrating the story. It’s a pleasure to listen to a book when things, people and places are pronounced correctly!! With the correct accent too! Thank you! Chappell paints familiar scenes of the high desert places where I grew up. The native sensibilities and humor of his characters "ring a bell" in my memories. Kaipo has me convinced that he is a neighbor of those he portrays. Such a great share! ....and the narrator. Makes all the difference. I walk and listen. I found myself gasping out loud a couple of times. thank goodness no one was around. enjoyed the story and the interesting Native Dina background to the story. Nice to see a author research native information before writing a book. I was astounded at the quality and gritty substance of Chappell's fourth book. He didn't pull any punches on this one. Not only was the story a good one, but the plot and action kept me fully involved to the end. I was truly impressed at Chappell's quantum leap in style, narrative, and realism.